Honestly, drawing a fake chat board is far tougher than drawing any of my characters. Anyway, that’s two members added to Claw’s crew now. 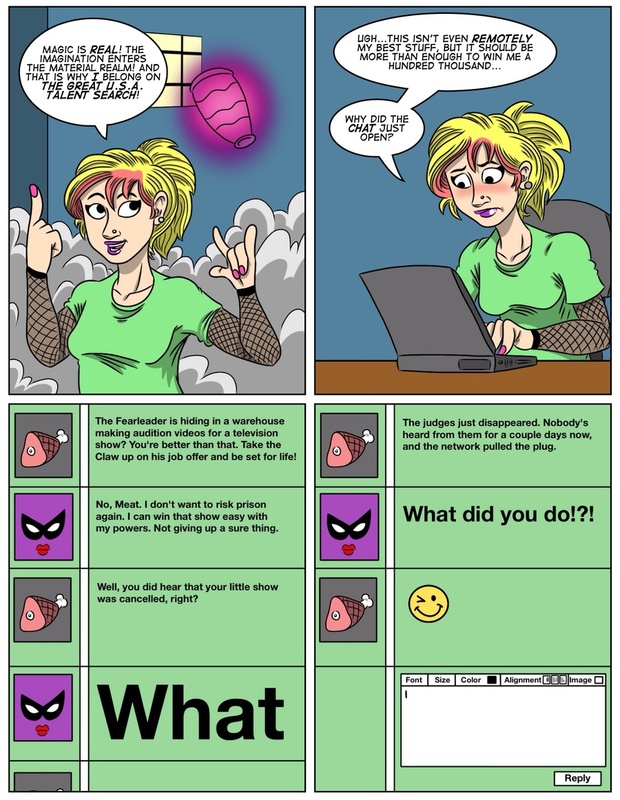 You can leave comments by clicking here, leave a trackback at http://supervillainous.spiderforest.com/comic/supergroup-part-2/trackback/ or subscibe to the RSS Comments Feed for this post.